The Shark Tooth Tactical features the SLYSTEEL Split Finger Guard (patent pending). This knife is versatile and can be used for penetrating sheet metal, shattering tempered automobile glass, or for an offensive or defensive weapon. The Shark Tooth Tactical is single edged. The blade is zoned hardened on the cutting edge, the spine, and the pommel tool. 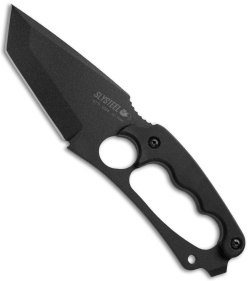 The handle is textured G-10 for maximum grip stability even when wet. 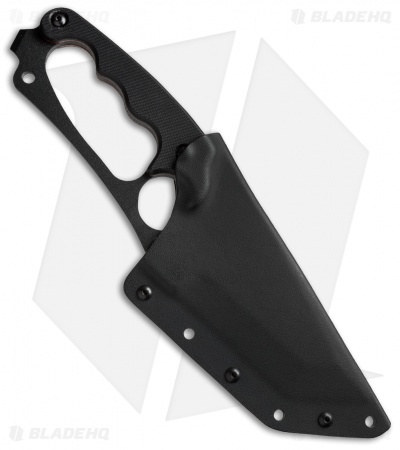 The full tang features a lanyard hole. The blade is powder coated to eliminate reflection and to prevent corrosion. Made in Idaho by TOPS Knives.